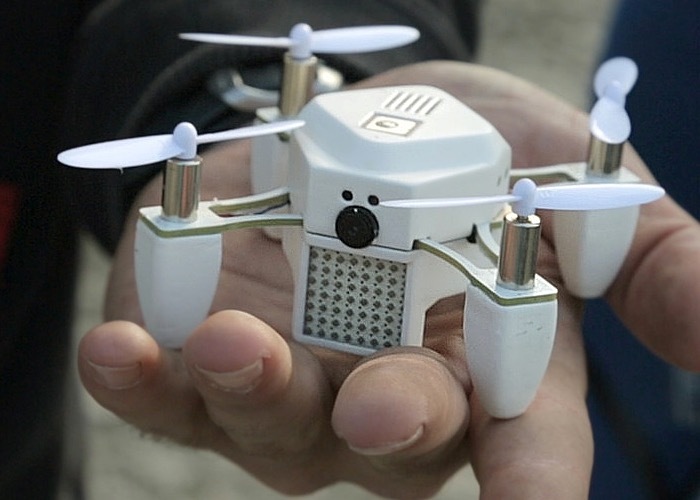 A new nano drone in the form of the ZANO has been unveiled this week, that has been designed to be an ultra-portable, personal aerial photography and video capture platform that is small enough to fit in the palm of your hand. The ZANO nano drone is also intelligent and developable and is capable of flying by itself if required, connecting to your smartphone or tablet device. Watch the video after the jump to learn more about the ZANO nano drone project and see it in action. ZANO supports both iOS and Android devices and is currently over on the Kickstarter crowdfunding website looking to raise £125,000 to help make the jump into production. Its creators the Torquing Group explain a little more about their palm sized quadcopter. “A plethora of sensors work seamlessly together to allow ZANO to avoid obstacles, hold its position and know exactly where it is in conjunction with your smart device, at all times. This means ZANO operates on a virtual tether connected to your smart device. Allowing for simple gesture control of ZANO. Tilt your phone or tablet left or right, forward or backward and ZANO will follow. (ZANO can also be utilised in “Free Flight” mode, using on-screen Joy Sticks). On screen slide bars control rotation and altitude. ZANO will hold its position unless instructed otherwise (In both “Capture” mode as well as “Free Flight” mode), which allows for maximum control and creative freedom without the burden of piloting ZANO. If ZANO senses it’s strayed too far from your smart device or is running low on battery, it will automatically return to your smart device. Operating on a virtual tether also enables “Follow me” capability in ZANO. So if you think the ZANO nano drone is something you could use and enjoy flying, visit the Kickstarter website via the link below to make a pledge from just $149 and help the ZANO quadcopter drone become a reality.